FOR FANS OF NICHOLAS SPARKS...AND MOVING, ROMANTIC, CHRISTIAN FICTION. After a tragic accident along the Swan River took the life of his mother, young Jared Conway grew up thinking little of the family he lost. As an adult, he remains without an anchor. With his marriage truly over--despite his attempts at reconciliation with his ex-wife--and his young son far away at boarding school, Jared discovers that his success as a commodities broker has brought him little inner peace. On impulse he suggests to his son, Nicolaus, that they go to Montana over the boy&apos;s summer break. Jared&apos;s plan is simple: to spend time with his child and to clean out the cabin he has inherited, in order to make a quick sale in the hot real-estate market. 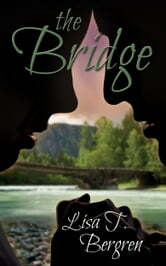 But when he gets to the river in Montana, Jared encounters three things that will change his life forever: the forces that have been driving him toward empty success, love for a spiritually grounded ceramist named Eden Powell, and the bridge that will finally lead him home.